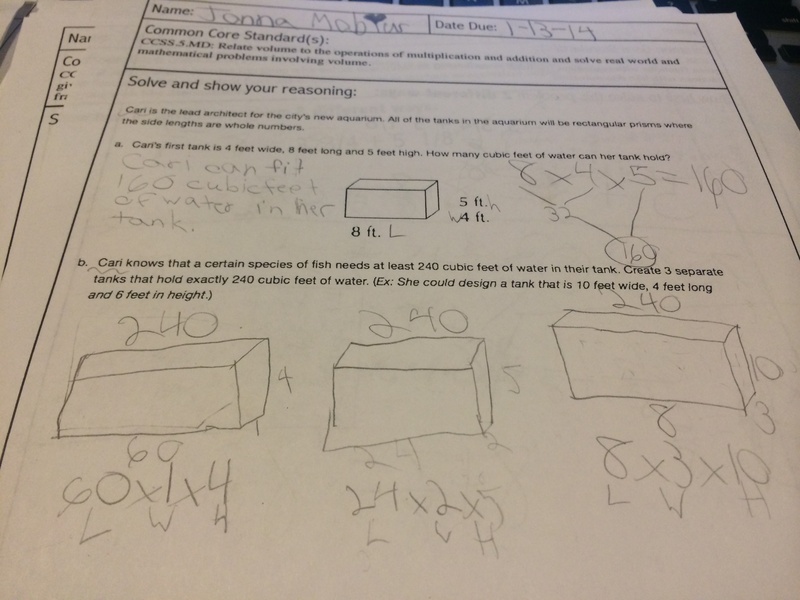 1 – Choosing the problems – I felt a bit overwhelmed with choosing the problems to put on the homework page. Who would have thought? It is just two problems, right? 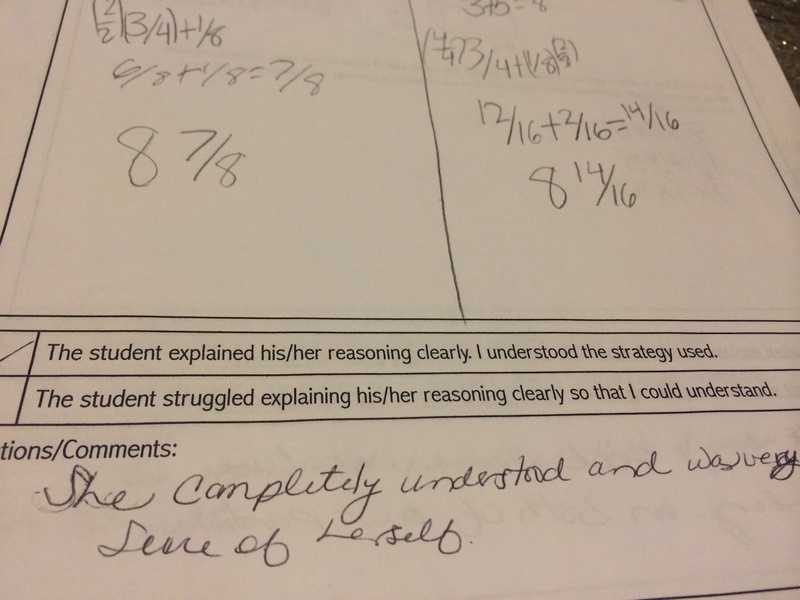 Unlike the “typical” homework that goes along with what we did in class that particular day, I wanted to use it more to see if students truly learned the concepts we worked with over the course of the first half of the year. 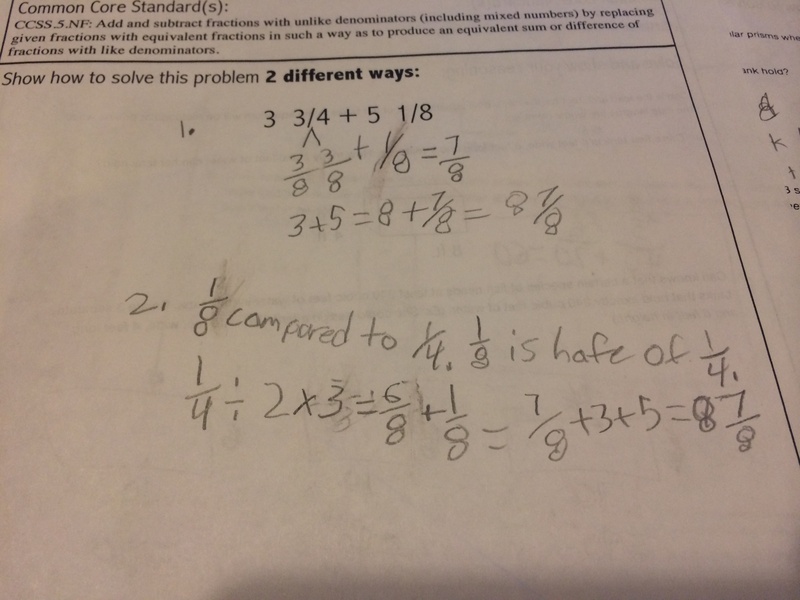 With that, I chose to use a volume problem from Illustrative Math: http://www.illustrativemathematics.org/illustrations/1308 , which was our first unit of the year, on one side and on the opposite side I put the addition problem: 3 3/4 + 5 1/8, and asked students to show two different ways to solve the problem. 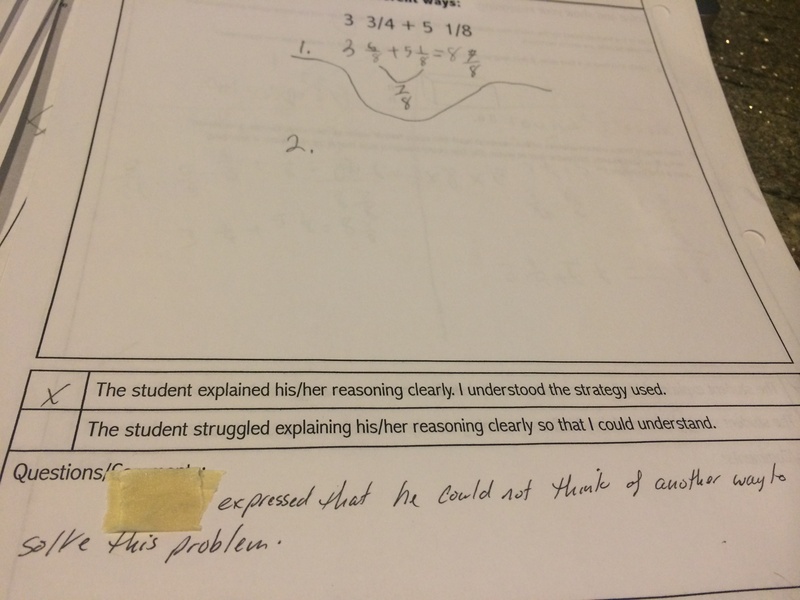 I thought one problem in context along with one problem without context was a nice mix. 2 – Students showed great responsibility – I purposely gave the paper to the students on Thursday and assigned it to be due the following Monday so students had two nights to actually get the paper home (sometimes that is the hardest part:) and then two more nights to find an adult. I was very excited to get 98% of the papers back from the students and they seemed really excited to tell me about what their parents had said about their work. I heard everything from “They said they wouldn’t solve it that way” to “They were so proud of my vocabulary.” Loved it! 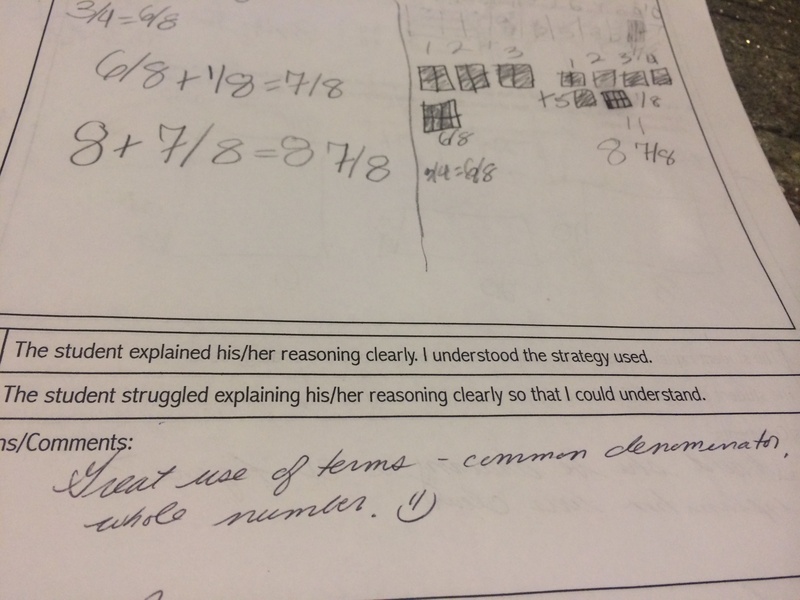 3 –Parent response – I had great parent response both on the sheet and in conversations after the fact. Here are just a few examples of comments made…. I loved that I got praise, concerns as well as strategies! It was pretty awesome and hopefully led to some great conversations at home! 4 – My response – I wanted to take time to look through the work and plan my next steps but I also wanted to acknowledge the parents comments and/or concerns right away. 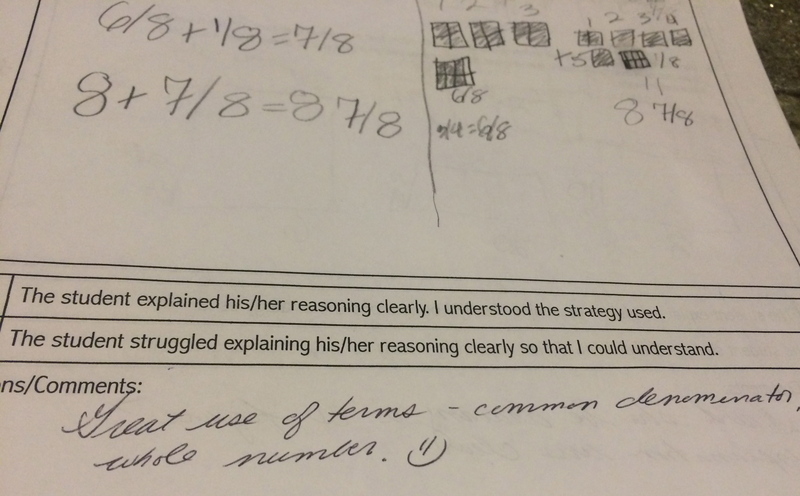 That day, I sent a quick email to the parents to first thank them for taking the time to work with their child on math and to also let them know that I saw their questions/concerns and that although they may not get a direct response from me on each individual comment, I will be working with their child based on their work. 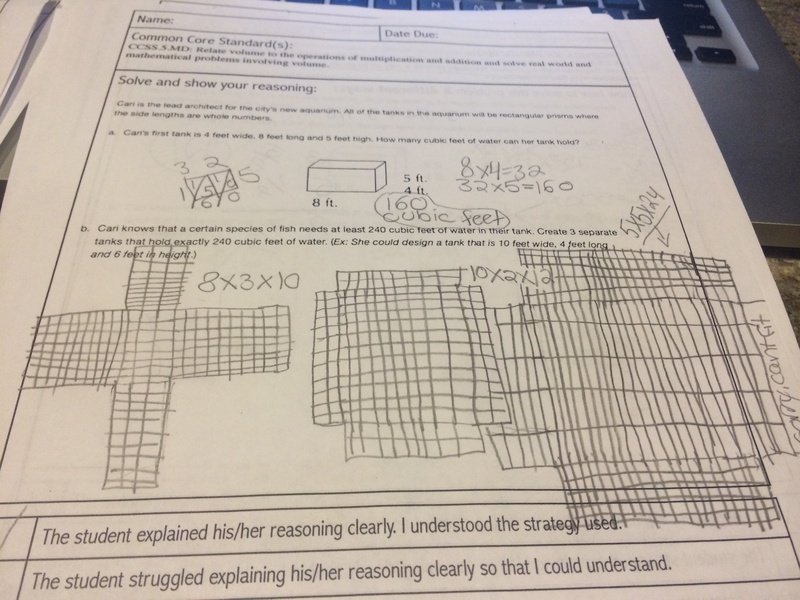 5 – My plan from here – I have math workshop planned for tomorrow in order to give me time to work with the students who may have misconceptions or maybe just not using an efficient strategy in their work with volume and/or fractions. I found the fraction work pretty amazing and, I cannot lie, it really made me feel great about the work we had just done in our fraction unit. They really used some creative thinking in looking for a second strategy! Overall, I completely loved the homework and the result! I am in the process of creating my next one to give the students tomorrow. I don’t think I will make any changes at this point in the layout of the sheet at this point. 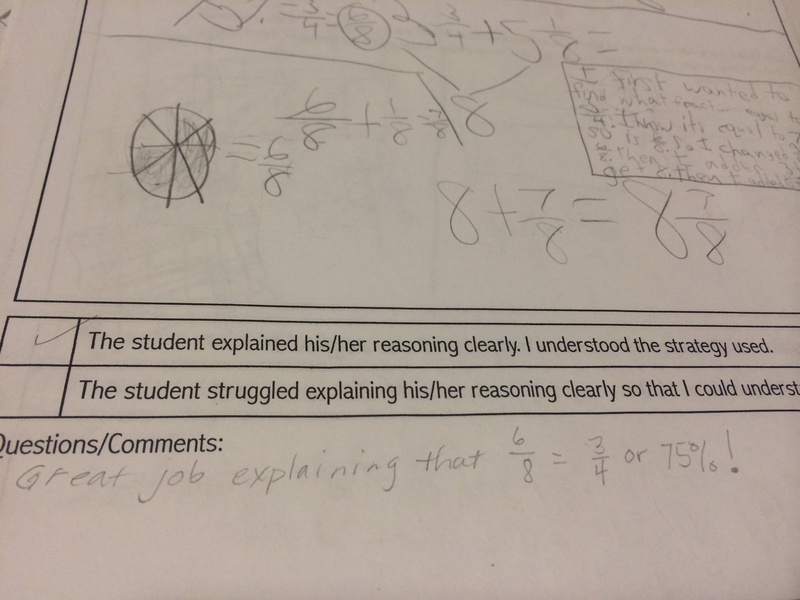 I do think that when I give a problem with no context next time, I will ask the students to write a story to go along with it. 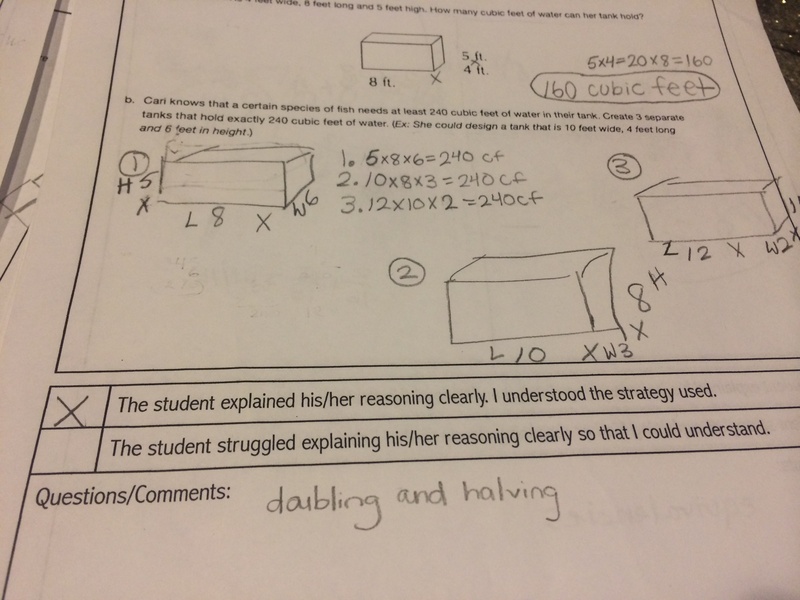 I did find that more struggled with the volume question, possibly because of the context, so I really want to work on the students moving in and out of context in mathematics. 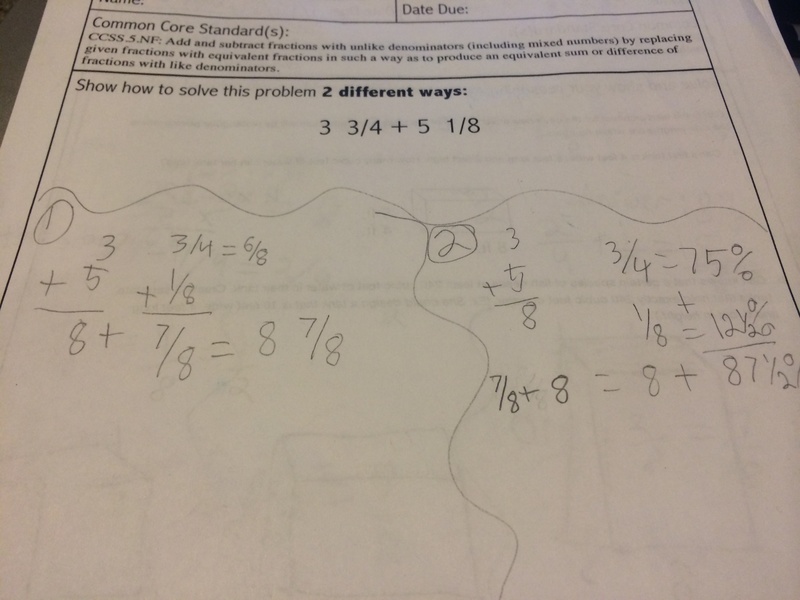 This entry was posted in Math, Uncategorized and tagged 5th Grade, Homework, Math on January 16, 2014 by mathmindsblog.